Naisho no Tsubomi contains episodes 1-3. Just as Tsubomi is getting ready to start the fifth grade, everything she thought she knew about her life suddenly starts to change. Not only has her mother just told her that she's about to become a big sister, but Tsubomi's been starting to feel a little strange herself and it seems that there's a lot more to growing up than she thought! Unfortunately, people's bodies don't come with owners' manuals, so Tsubomi will have to rely on advice from her friends at school and most of them don't know any more than she does. (Some of them are even BOYS!) Fortunately, there's that mysterious new transfer student, Saya, who seems to be a bit more knowledgeable, and with some help from Mom, Tsubomi just might make it through adolescence unscathed! Special Features: Clean Closing Animation. 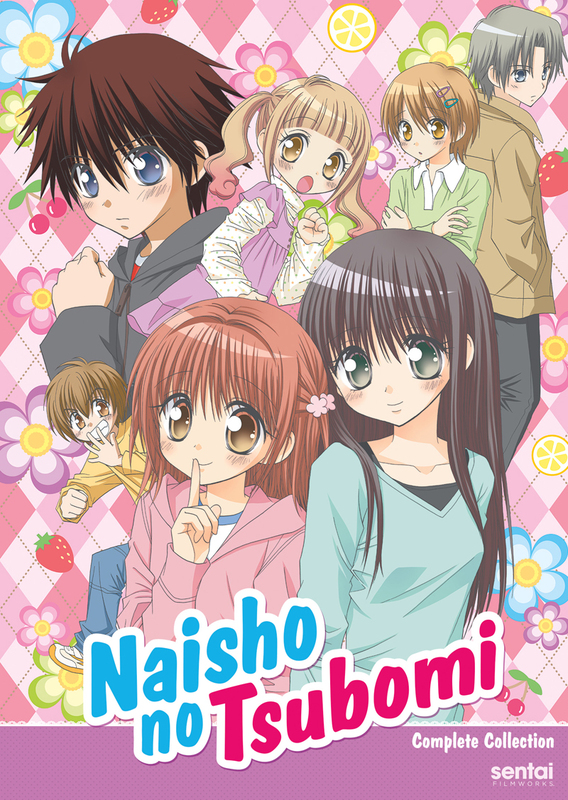 Naisho no Tsubomi is a 3 part ova about growing up and the scenarios that boys and girls go through such as puberty, body growth, and falling in love. It focuses more on the female side of adolescence, but it does show a bit from the male side as well. As a male, I could relate a bit and it was interesting to see how some females are and how they deal with those scenarios. The show reminded me of Ojamajo Doremi and how they’re both pretty much about growing up with some supernatural elements to it. It’s innocent, charming, and was a nice change of pace. I would totally recommend this to anybody around the age of adolescence or that likes young love and grade school antics.